A Daily News reader posted this pic the truck 'baled up' under the railway bridge on the Allora back road. 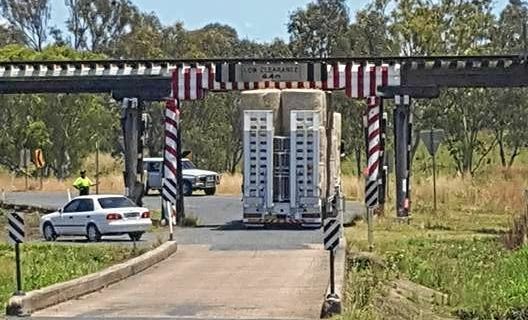 A TRUCKIE has underestimated the size of his stack this afternoon near Warwick. The driver got his load of hay bales stuck under the railway bridge on the Allora back road, just past the John Dee factory. Traffic was held up for a few minutes, while the driver dropped his air-bags and was guided through by helpful bystanders.